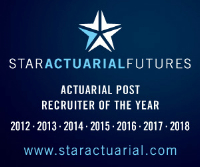 Our client, a global consultancy, has a fantastic opportunity for a part-qualified GI actuary to join its a highly collaborative P&C department in Bermuda where you will play a key role in loss reserving analysis across all lines of business. In this excellent, international career-development opportunity, you will play a key role in supporting a number of diverse workstreams including: regulatory capital modelling; predictive modelling and customer analytics; rate setting all lines of business; financial forecasting; product development and mergers & acquisitions. With excellent communication and interpersonal skills, the successful candidate will be proficient in the use of spreadsheets and actuarial-related reserving and capital modelling software. Contact us now for more information regarding this exciting role within a genuine market-leader.